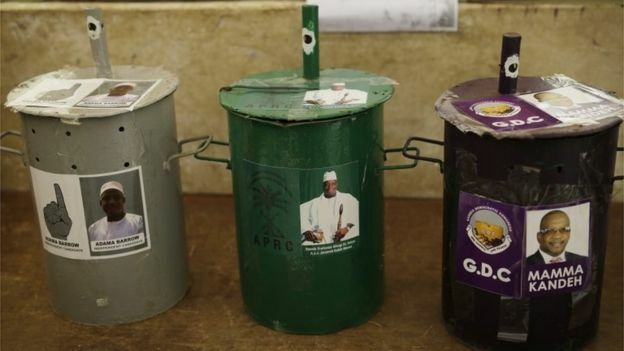 Polls open in The Gambia with Jammeh in bid for fifth term. 886, 578 voters are expected at 1,422 polling stations in 53 constituencies in the seven administrative regions of The Gambia to cast their ballots to elect the next president of the country whose population is around 1.9 million. There are three candidates running for the position including incumbent President Yahya Jammeh, businessman Adama Barrow and former National Assembly member under Jammeh’s party, Mamma Kandeh. President Jammeh, 51, who took control of the West African country in 1994, said on Tuesday that his victory in the election is all but assured with divine intervention, and warned the opposition against protesting. Observers from the European Union (EU) and the West African regional bloc Ecowas are not attending the vote. Gambian officials expressed opposition to the presence of Western observers, but the EU says it is staying away out of concern about the fairness of the voting process. Rights groups have already documented a worrying deterioration in the climate for human rights in the country. Reporters and activists observing the country’s presidential elections have reported that a full-on blackout is in effect across the West African nation. While it’s not clear whether there is any truth to the reports of election interference, Jammeh has sparked international controversy in the past for his actions while in office. Posted by Pawla Nibramich on December 1, 2016. Filed under Zoom. You can follow any responses to this entry through the RSS 2.0. You can skip to the end and leave a response. Pinging is currently not allowed.